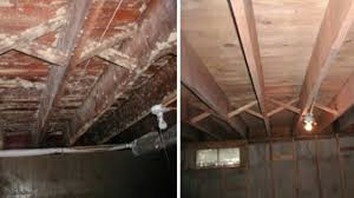 Mold Remediation and Removal , Water & Flood Cleanup and Restoration. Mold removal (also known as mold remediation) is the process of cleaning mold by removing and treating surfaces and materials that have been contaminated by mold or mildew. The methods used for mold cleanup will vary, depending on the type of mold in the house or building and the effects of mold on the surface or material. Jennings All Spruced Up, will provide a customized mold inspection in your home or business any where Rhode Island. The mold inspection, which will be performed by a mold specialist, can include a visual inspection, moisture readings and mold testing. Mold testing options include air-o-cell tests and swab samples to identify the types and concentrations of mold present in an environment. Once the source and types of mold are identified, a mold removal plan will be developed and executed, including containment of the work area to control and limit the spread of mold in the house or other contaminants into surrounding areas of your home or building. Comments: He was honest , courteous, and came soon to do the job and finished fast. Eye irritation: Mold can cause both redness and watering of the eyes. Headaches: Breathing in mold can cause headaches in some people. Feeling tired: Feeling tired for several days in a row. Sore throat: Experiencing a raw feeling when swallowing, or hoarseness when speaking, are both indicative of mold exposure. Shortness of breath: Breathing in mold spores can cause respiratory difficulties in some people. This is especially prevalent in those with allergies. Runny nose or sinuses: If you are constantly reaching for a tissue to catch your runny nose this can also be a strong symptom of mold exposure. Bleeding nose: A runny nose can quickly lead to a bloody nose. These symptoms offten require medical attention, please do not hesitate if your symptoms have escalated. Contain mold spores: Seal off the room to prevent any mold spores from spreading to the rest of the house. When sealing off the room we are about to clean using plastic sheets with duct tape to cover doorways, vents and any other openings. Create negative pressure in the room we are cleaning. To do this run an exhaust fan blowing out of a window, or partially opened door if you have to, to blow air outside of the house. This way mold spores that are stirred up during the removal process should mostly end up outside. Also make sure too turn off any air conditioning systems in the house before you begin cleaning up the mold. Mold Removal: During the mold removal is the time when mold spores are most likely to be stirred up into the air. 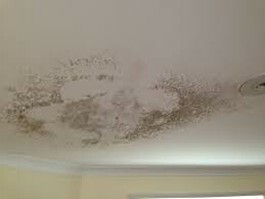 To reduce this you should begin my moistening any dry mold growth as dry mold will allow many more spores to escape into the air when disturbed. Use a spray bottle of water to wet the dry mold slightly. Jennings All Spruced Up, mold specialists use HEPA (High-Efficiency Particulate Air) vacuums for mold removal. After all affected materials have been thoroughly dried and contaminated materials have been removed. HEPA vacuums have specialized filters that capture tiny mold particles that would typically pass right through a normal vacuum filter. HEPA vacuums are also used for the cleanup of dust that may have settled on surfaces outside of the affected. This is just one of many examples of how Jennings All Spruced Up safely and proficiently contains and removes mold from your home. Prevent mold returning: We use a mold killing solution to clean surfaces that had mold growth and even surfaces which were free of mold, because all of the surfaces in the room will have some amount of mold spores on them. These mold spores can grow into mold later if moisture accumulates in the room again so killing them will help prevent the mold coming back. Clean belongings: Non-porous materials (eg glass, metal, hard plastic) that once had mold on them can be used again after you have completely cleaned the visible mold from the surface. 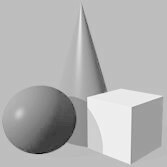 Because the materials are non-porous there will be no more mold below the surface so cleaning the surface mold will take care of the problem. 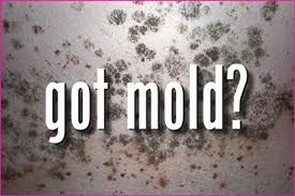 Dispose of the mold After the clean up process remove mold and moldy items, as well as the contents of the HEPA vacuum cleaner, from your home in completely sealed plastic bags. If possible do not take the plastic bags through the house but pass them directly to the outside through a window in the room or a door.